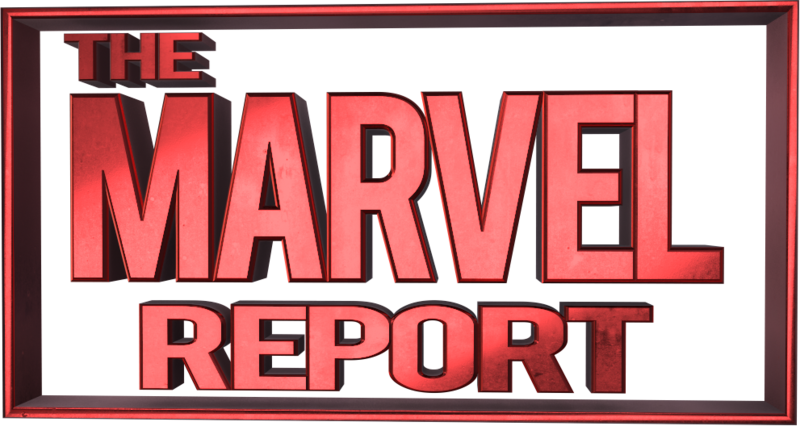 As Avengers: Infinity War creeps closer and closer, fans are salivating at the opportunity to see their beloved heroes finally take on the big bad; a villain that poses a true threat to the well-being of our heroes for the first time in Marvel Studios history. While many of our characters have faced tremendously powerful and even life-changing foes, none of them have gone to war with a character as powerful, menacing, and murderous as Thanos. Murderous you say? Isn’t that a little dark for family films. Nope. It was always headed here and even the trailer for the movie boasts of Thanos wanting to eliminate half of humanity and enslave the rest. If this movie is sounding less like an Avengers flick and more like a heist film with deadly implications, that’s because Thanos isn’t really about fuzzy feelings. A perfect example of this is the original Avengers when he threatens Loki, telling him he’d better bring him back the Tesseract… Or else. While people generally understand that Thanos is a powerful being and is coming for the Infinity Stones, there hasn’t been a whole lot said about him in the movies other than he’s a madman seeking these objects of great power. The general idea in this article is to catch you up on who Thanos is in both the Marvel Cinematic Universe and the comics. I’ll take care not to spoil things, but reading this article is kinda its own spoiler as it will discuss the Mad Titan in a bit of detail, so just be warned. Thanos comes to us from Titan, a moon off of Saturn. Mom wasn’t a big fan of Thanos’ looks early on and tried to kill him. Thanos repaid Sui-San, his mother, by operating on her, experimenting on her, and eventually killing her. Thanos doesn’t play well with others. The lone exception to this rule seems to be his brother Starfox. For Thanos, life isn’t about relationships — unless it’s with Death — as much as it is about power and control. If you vivisect your own mother, you may have some issues. But Thanon’s reign of terror was barely getting started. It was shortly after Thanos left home that his journeys took him to the home of Death, who Thanos began trying to impress from pretty much then on after. 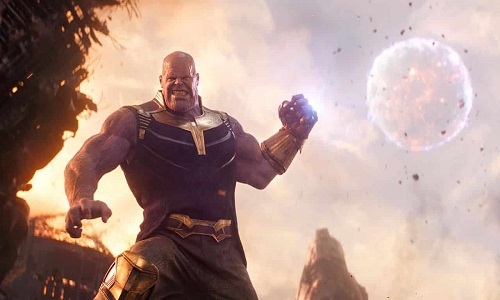 Most things that happen with the Mad Titan are either in the service of Death or to prove to himself that he no longer needs Death’s approval. Thanos set about collecting the Cosmic Cube, which he used to turn himself into an extremely powerful god. He easily swatted down the Avengers accompanied by the original Captain Marvel (Mar-Vell), but Mar-Vell tricked Thanos (a theme that remains present throughout his life) into believing he had used too much of the Cosmic Cube, so Thanos threw it aside and Mar-Vell reset things to the way they were. It’s not too long after this that Thanos learns of the Infinity Stones and sets about collecting them to wipe out half the life in the universe to cure Death’s imbalance. On this occasion, Thanos was successful in claiming the various gems. 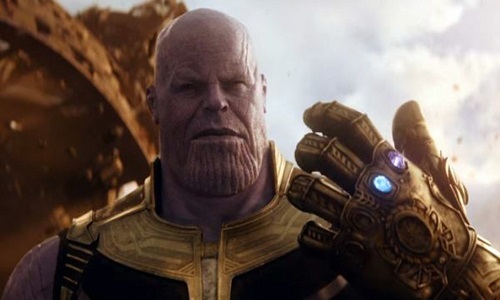 Using the fully loaded gauntlet, Thanos killed half the population and a good chunk of our heroes, including the Avengers, X-Men, and other heroes. Unfortunately for our boy, Death still wasn’t quite feeling him because now he had even more power than her. Everyone knows you can’t have more power than Death, especially in a romantic relationship. Well, everyone except Thanos, who wound up getting played by his own of his own (no spoilers), and things were set back the right way with the gems then handed out to worthy heroes. They would go on to be known as the Infinity Watch. Now, MCU Thanos doesn’t have a full backstory yet, so it’s difficult to know how much of this they will take. There are things we know from previews that jibe with the comics, even if they aren’t conducted in the same format. For instance, one of the Avengers: Infinity War previews has Gamora talking about Thanos needing to wipe out half the life on the planet. That was a Thanos/Death storyline in the comics, but we will see if the living embodiment of Mistress Death arrives in the MCU. We know Thanos teamed up with Loki and the Chitauri to invade Earth in the original Avengers, but Thanos didn’t reveal himself to the audience until the end of the movie, and even then the other characters had no idea he existed. Thanos appears to have given Loki, through the Other, the mind-gem. Loki lost that in the Battle of New York and it was recovered by S.H.I.E.L.D., but then lost to Hydra, who eventually had it taken back by the Avengers, who then lost it to Ultron, who made Vision with it and finally left the mind gem in Vision’s head. Whew, and we haven’t even talked about the Tesseract, which is the space gem. Let’s just say that it looks like Loki may have grabbed it and it’s aboard the ship that Thanos is about to enter at the end of Thor: Ragnarok. So, knowing that the Mad Titan is coming is one thing. Being able to do anything about it is an entirely different story. Thanos has many traits. Aside from being one of the smartest men in the entire galaxy, he’s also a being of incredible might and power. How smart is Thanos? Imagine if T’Challa and Captain America each made a plan, consulted notes on those plans, combined them into the best solution, and sent it to Nick Fury for additional comments. That’s about the level of intellect Thanos has when it comes to his machinations and schemes. He’s a true chess player, often five to six moves ahead. In the comics, Thanos isn’t just capable of absorbing and projecting energy beams, he also possesses telekinesis, telepathy, and the ability to manipulate matter. He has a number of different space stations, all of them containing some of the most advanced tech on the planet. It allows him to move throughout the galaxy and even different universes. His ship is also capable of time traveling, but we haven’t received much word on which of these powers will be available to Thanos as he breaks his way into the MCU as a main character. Thanos first broke into the pages of Marvel in Iron Man #55. Shortly thereafter, he made a play for the Cosmic Cube in the pages of Captain Marvel (Mar-Vell, not Carol Danvers). These plays for power became a staple for the Mad Titan. Ruling the world became an obsession, if not for his own purposes, then certainly to appease the appetites of Death. Thanos is obviously known for his rise to power in Infinity Gauntlet, but he has also been on the side of good, as well. 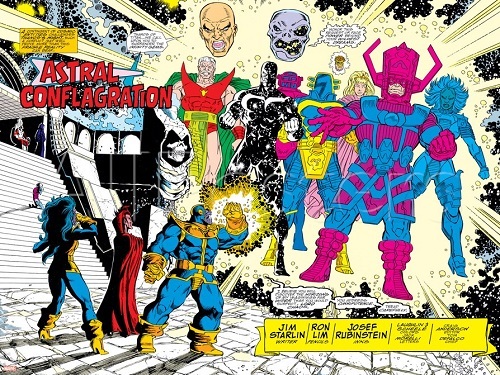 When Adam Warlock’s alter ego — Magus — took over the Gauntlet following Thanos’ failed attempt, the Mad Titan worked with the Infinity Watch — the group assigned to look after the stones following the Infinity Gauntlet story — to take down Magus and save the world. Even when he’s supposedly on the side of good, Thanos is always looking out for himself. 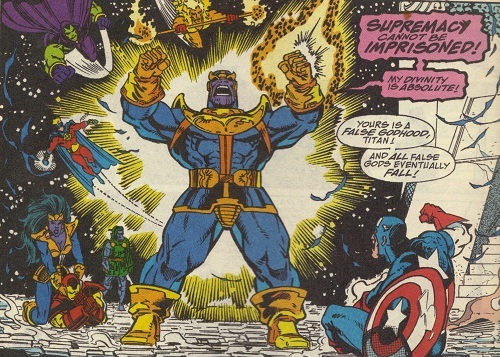 Infinity Gauntlet is not the only time the Mad Titan has made a play for the Infinity Stones in the comics. 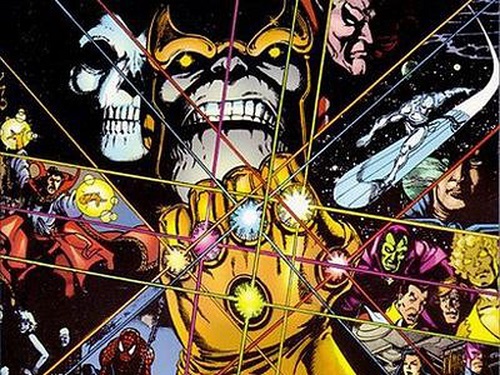 While much of the MCU has been based around the Infinity Gauntlet story from the comics, the introduction of Thanos’ Black Order is actually from the Infinity storyline. Infinity is one of Marvel’s best pieces of literature and it shows the full power of the Black Order. We will get into the various Black Order members as the movie approaches, but just know that this film really appears to be an amalgamation of the Infinity and Infinity Gauntlet storylines. In many ways, it’s going to be more exciting that it has been done this way.